Includes over 7 hours of instructional video + 36 minutes of audio instruction PLUS over 3 1/4 hours of bonus video! If you’re serious about taking back control of your life, reducing your stress and reclaiming your health, happiness and peace of mind, then this course may be the most important one you ever take. Because in the next few minutes you’re going to read about a unique stress management system used by a handful of the top stress experts in the world that consistently reduces patient’s physical symptoms of pain, fatigue and illness … as well as excessive worry and anxiety … and helps them achieve greater emotional well-being, mental clarity and peace of mind. By the end of this short post you’ll understand how to put this same stress management system to work for you so it cranks-up and accelerates your body’s own internal healing system so that your body repairs itself more effectively and heals itself faster . . . getting you into better physical health with more energy and less pain, fatigue, stress, anxiety, worry and depression. And, because the system you’re about to read about is not just another ordinary say “om,” “take a deep breath,” or “count to 10” stress reduction program . . . if you know that too much stress is making a mess of your physical health or emotional well-being, then this system works to heal your body, mind and spirit fast . . . regardless of how many other stress reduction programs you’ve tried before, regardless of how long you’ve been trying to get well and regardless of any prior struggles you may have had with stress, anxiety, worry or depression before. Look . . . when you make the decision to take back control of your life, get healthy again and really reduce your stress, anxiety, worry and depression, it’s no secret that it’s essential you choose and follow the right stress management plan with scientifically proven techniques, emotional support tools, and nutritional principles … so your physical body heals quickly and your mind and spirit can finally experience the level of inner calm, peacefulness and sense of purpose . . . so essential to all healing. I’m sure you already know that following the wrong plan or unproven approach to reducing your stress may not only prevent you from getting healthy and happy, but can also increase the chances that uncontrolled stress will continue to damage your body, deplete your energy, destroy your well-being and diminish your hope . . . leaving you more physically at risk and feeling more discouraged, anxious, frustrated and hopeless than ever. You know that stress is getting to you . . . you’re worrying too much about almost everything, almost always overreacting to things your spouse, kids or friends say or do. You’re frustrated that you can never seem to unwind or relax, without resorting to a second, third or even fourth glass of wine. You can’t seem to escape from your own restless thoughts . . . and falling to sleep at night is nearly impossible because you just can’t turn off your brain. You know you aren’t eating well, exercising and doing the things you know you need to do to stay healthy. You know you should go to the doctor, get a checkup and start to take care of your health, but you’ve already got so much on your plate, you just keep putting it off . . . promising yourself that “tomorrow” or “next week” or “just after this project is over” or “when the holidays are done” you’ll start to take care of yourself. But tomorrow never comes. Then one day . . . unexpectedly . . . it happens and the chest pain hits, the palpitations last longer than usual, anxiety peaks or depression hits . . . and then, illness takes over . . . and perhaps a heart attack threatens your very life . . . or a nervous breakdown completely immobilizes you . . . and suddenly, it’s too late and the damage is done. But . . . for you . . . tomorrow never seems to comes, and . . . you continue to eat poorly, worry excessively, fail to exercise, drink in excess, suppress your feelings and use other unhealthy coping mechanisms in order to reduce your stress. Unfortunately, this happens more often than you would believe… especially for people who tend to ignore, downplay, minimize or discount the amount of stress they are really experiencing . . . and the fact is . . . it only takes a few minutes for too much stress, tension or anxiety to get the best of you and lead to palpitations, chest pain, back pain, illness or depression that can devastate your life. Obviously, this is the last thing you want to have happen to you, your family, children and loved ones. Yet, if you don’t find the right plan to help you take back control of your life and reduce your stress now, then stress will continue to negatively impact your physical health and destroy your emotional well-being . . . robbing you of any lasting happiness or peace of mind in your life. 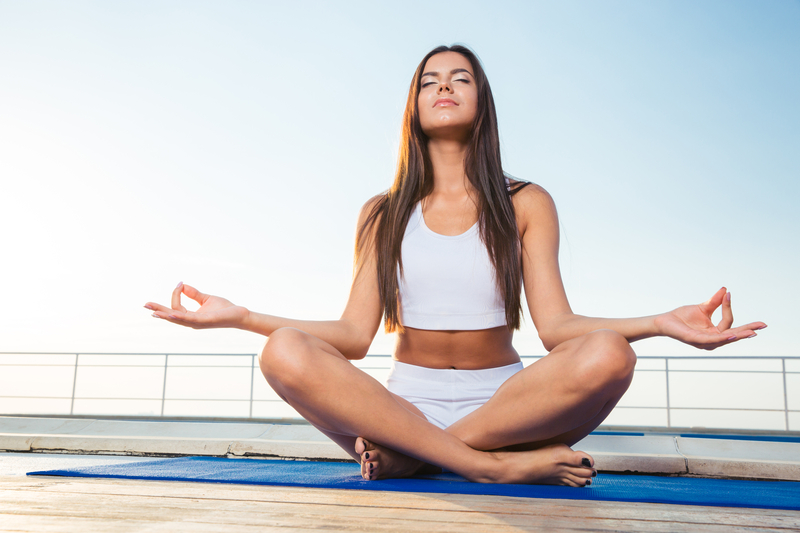 Fortunately, there’s a powerful, science-based stress-reduction system you can use to get well again, which not only increases your energy and stimulates your body’s self-repair mechanisms but also reduces the physical symptoms of illness, slows down . . . or even reverses . . . the disease process, and simultaneously, increases your emotional happiness and restores your peace of mind. With this powerful science-based stress management system, you can start to restore your physical health, reduce your pain, overcome your fatigue and increase your mental, emotional and spiritual well-being. What is this powerful science based system? It’s a system based on a revolutionary new understanding of the inner workings of what is called your body’s “fight or flight response” . . . that is . . . the human stress response. It’s a system of tools, techniques and philosophy that draws upon new insights into the intricacies of how the “fight or flight response” truly works in your body . . . what turns it on, what turns it off, how to modulate its reactivity and diminish its potentially harmful effects. It’s a system that teaches you the practical skills and effective tools necessary to get well again. It’s a system that holds the secret key to taking back control of your life. It’s a system that teaches you . . . in a clear, practical, effective and scientifically-proven way . . . the #1 thing you can do to reduce your stress and reclaim your health, happiness and peace of mind . . . and that is . . .
You must become the master of your body’s fight or flight response. You must learn, understand and know how to influence what turns on and activates your body’s fight or flight response, what turns it off, what makes it overly reactive and what protects you from the damaging effects of an overactive or chronically turned on fight or flight response. Then – with the right system of education, support and practical application – you can take that knowledge and learn the practical skills that allow you to decrease the activation of your fight or flight response and minimize the damaging effects of an overactive fight or flight response. Why is this so important? Because your “fight or flight” response is what creates stress in your life. It is what makes your physical body susceptible to illness and disease. It is what destroys your emotional well-being and robs you of your happiness and peace of mind. Your “fight or flight response” is the inborn, automatic and genetically hard-wired program that tells your body how to respond to perceived threat, danger or harm . . . whether that perception is real or not . . . and whether the threat is physical, psychological or spiritual in nature. And so, when you learn how to master your body’s fight or flight response . . . which I promise you, you can do . . . then you can begin to take back control of your life, reduce your stress and reclaim your health, happiness and peace of mind. All this knowledge . . . and the tools and techniques necessary to practically and effectively implement it in your life . . . is contained in The Perfect S.T.A.R.T. Stress Management System . . . where S.T.A.R.T. is an acronym standing for Stress, Tension & Anxiety Relief Training . . . and it’s nothing like the traditional stress management plans you may have tried before. First, let me tell you why The Perfect S.T.A.R.T. Stress Management System is so effective at reducing your stress, anxiety and worry . . . and restoring your health, happiness and peace of mind. . Unlike traditional stress management plans that focus on reducing your stress by taking on fewer activities, avoiding stressful situations and stressful people in your life, and just letting go of the things you can’t control, The Perfect START Stress Management System teaches you how to learn from your stress, rather than be destroyed by your stress. It teaches you how to use stress as a teacher, not an enemy. Yes, you need to avoid toxic people and stressful situations, but you also need to learn how to deal with them effectively and appropriately, so that even in the midst of external stress, you learn how to stay calm and cool on the inside . . . remaining true to your values. This is the power of The Perfect START Stress Management System . . . that not only helps you minimize stress in your life but also helps you transform your stress into strength by giving you the tools, the wisdom and the techniques to function well . . . even in the face of emotional stress and external craziness in life. After all, there are so many times we simply cannot avoid stress in our lives, but we can always learn how to grow in wisdom, strength and character . . . even as we face the unavoidable stresses in life. Let me quickly tell you the science behind how and why this works. Then I’ll tell you how you can start using this system yourself. Scientifically… the reason why The Perfect S.T.A.R.T. Stress Management System works so well is because it teaches you how to turn off your stress response—which is the inborn, automatic, unconscious mechanism that plays havoc with your physical health and emotional well-being. When you are stuck in fight or flight, it’s almost impossible to stay well, stop worrying, think clearly or experience lasting happiness or peace of mind. Even when you know you’re stressed and want to get well again . . . if you don’t really understand how to turn off your fight or flight response, you’re doomed. And there’s just no one-size-fits-all . . . and many programs recommend stress management tools for one person that can be harmful to another. For example, many programs offer meditation as the primary stress reducer, but the problem is . . . for many people, meditation or yoga can actually make things worse initially and cause you to feel more stressed, tense and anxious. That’s why you need a variety of tools, techniques and approaches to help you properly manage your stress. So, the outcome for you is less worry, less anxiety, less over-reacting, less feeling out of control . . . and greater calmness, clarity, strength of character and peace of mind. In fact, when you are faced with stressful and challenging situations that would have previously gotten the best of you . . . you will feel more prepared, mentally flexible, emotionally strong and supple enough to handle almost anything that comes your way. If that sounds like the outcome you want, then let me quickly tell you about something called, The Perfect S.T.A.R.T. Stress Mastery System. It’s a complete and comprehensive multi-media package that walks you through each and every step of implementing powerful stress management techniques into your life. And, I’m so confident the Perfect S.T.A.R.T. Stress Management System will get you into peak mental and emotional shape . . . that I’ll even let you try out the whole thing risk-free. That’s right. Just use the entire system for 90 days and if it doesn’t help reduce your anxiety, worry, stress or tension . . . and increase your clarity, calmness, happiness and peace of mind . . . it won’t cost you a dime. Now before telling you everything you get, there’s one thing I need you to be aware of . . . this program is not some quick fix, “magic pill” approach to stress management. It was not designed to fluff your aura and make you feel instantly better about yourself and your life. It was designed to actually help you be better, be happier and be more successful in achieving the level of health, happiness and peace of mind you truly deserve in life . . . and that is no easy task . . . for any of us. This system was designed to help you reframe your entire experience of stress in your life, by helping you re-evaluate what is truly important, meaningful and purposeful in your life. It was designed to help you shift from seeing stress as the enemy to finally seeing stress as a teacher in your life. So, if you’re just looking for a quick fix and some simple, clichéd tips about deflecting your stress, organizing your workspace and avoiding conflict in your life . . . and are not really serious about winning the game of stress and getting back control of your life, this program is NOT for you. If, on the other hand you’re serious about taking charge of your life and growing stronger, wiser, smarter and more capable . . . even in the face of extraordinary stress . . . and you are serious about mastering the game of stress, then the Perfect S.T.A.R.T. Stress Management System is for you. So, let me tell you what you get today with this package . . .
First off, the Perfect S.T.A.R.T. Stress Management System isn’t just a little e-book or PDF report. It includes a full online video training course complete with PowerPoint videos, audio, cheat sheets and other resources all contained within an online private membership site with lifetime access. With the Perfect S.T.A.R.T. Stress Management System, the first thing you get is a series of powerful online video lessons giving you a detailed breakdown, piece by piece and step-by-step of how to quickly master your stress with powerful, science-based, time-tested tools and techniques. This includes 7 modules that cover all the fundamentals, including over 7 1/2 hours of instructional video. By the end of your training course, you’ll know exactly how to use the right tools in the right situation so . . . as long as you follow the simple instructions . . . you’re guaranteed to experience a new level of emotional calm, physical well-being and spiritual peace of mind. Secondly, though all the lessons contained in this powerful program are available as video trainings . . . if you prefer to listen to audio . . . whether it be in your car, on your mobile phone, or while you’re doing your cardio… you also get a complete audio MP3 version of the entire Perfect S.T.A.R.T. Stress Management System. This way, anywhere, anytime, you can listen to it at your convenience. The third component you get is the Perfect S.T.A.R.T. Stress Management System “Cheat Sheets.” These simple one-page documents can be referred to anytime you like to make sure you reap the full stress-reducing effects and benefits of the system. You can print these sheets out and hang them on your fridge to help remind you what to do each day, to reduce your stress, anxiety, worry and depression and reclaim your health, happiness and peace of mind. This entire package has a true retail value of $147.00. And that doesn’t even include the bonus items you’re also going to get . . . that I’ll tell you about in just a second. Now, because today I can give you access to everything right away by giving you a digital copy of the entire Perfect S.T.A.R.T. Stress Management System, there are minimal costs and expenses for me. So, I’m able to give you access to the entire package for well below the $147.00. In fact, today, as part of a new promotional effort, you can grab the entire package, including life time online access to the members area . . . the video lessons, the audio MP3’s and the powerful cheat sheets for just one single payment of $67. That’s it. Just $67. And, remember: you can try out the whole thing risk-free. And if it doesn’t get you back in control of your stress, with a renewed sense of health, happiness and peace of mind, just shoot me an email, and you’ll get a complete 100% refund anytime in the first 90 days. No questions asked. To grab your package just go ahead and click here. As soon as you enter your details into the secure form you’ll be given instant access to everything. In addition to the main Perfect S.T.A.R.T. Stress Management System, you’re also going to get a couple of really valuable bonuses today. These bonuses are chock full of formidable stress reducing tips and tools that can help you function even more effectively . . . and calmly . . . in the face of serious stress. The first bonus you get is one of the most valuable videos any student of personal growth and stress mastery can have. It’s called “Stress Mastery 101: A Ninety Minute Adventure into the World of Stress Management” . . . and it’s a powerful collection of practical science and timeless wisdom for reducing your stress and reclaiming your health, happiness and peace of mind. The second bonus you get today is called “The Relaxation Response Guided Relaxation Audio” . . . and it is one of the most powerful relaxation exercises ever created, based on the groundbreaking work of Harvard cardiologist, Herbert Benson, M.D. Literally hundreds of scientific studies and some of the world’s leading stress management institutions use this guided relaxation exercise to help their patients reduce anxiety, decrease insomnia, minimize pain, stop excessive worry, reduce depression and improve inner peace. With your copy of “The Relaxation Response Guided Relaxation Audio” you’ll have access to perhaps the world’s most powerful stress reducing technique available—the very one used by the world’s most brilliant doctors and stress management experts. To grab your copy of the Perfect S.T.A.R.T. Stress Management System of online videos, audio MP3’s and powerful stress reduction cheat sheets . . . and the two free bonuses . . . just go ahead and click here. As soon as you enter your details into the secure form you’ll be given instant access to everything. Look . . . as you can probably understand . . . I’m not sure how long I’m going to offer this package at just $67 before raising it to its true $147 value . . . or if I’ll continue to offer all the two free bonuses at no extra fee . . . so, if you want to get everything now . . . and get it all for just $67 . . . then please click the “Add To Cart” button now. Look . . . if you’re serious about . . .
. . . there is no single better method or program you can follow than the Perfect S.T.A.R.T. Stress Management System. There’s no need to gamble with your physical health and emotional well-being . . . and there’s no reason to put yourself at risk for having a heart attack, palpitations, memory loss, stroke, excessive worry, out-of-control anxiety, nervous breakdown, burnout, depression or an immune system shutdown just because you never learned how to effectively manage your stress. So, grab your copy of the Perfect S.T.A.R.T. Stress Management System today, and let it go to work for you. I’d like to end this video with a wise and humorous quote by one of the world’s foremost and greatest masters of stress who ever lived . . . the late comedian George Burns . . . who lived a full, happy and meaningful life to the age of 100. Here’s what he had to say . . . So, go ahead click here and I truly look forward to hearing your stories of health, happiness and success . . . all because you decided to take action today and stop allowing stress to bully you, beat you up and destroy your health, happiness and peace of mind. 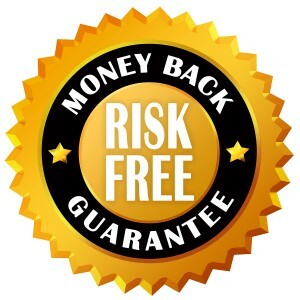 Your purchase is backed by our 90 day money back guarantee. If for any reason, you are not satisfied with your purchase, just email us at Support@NeilMD.com within 90 days of your purchase and you will be issued a prompt refund of your purchase price!